Well, it’s a known fact by now that I am a passionate shopper and bargain shopping makes me the happiest. Which is why, Flea Markets are my close favorites when it comes to getting the best deals for niche hand crafted products. After all you get to witness and buy some of the best handcrafted jewelry of many varieties from across India, one of a kind clothing items and many other items, peddling their wares in flea markets. But having to wait for some flea market fair in Bandra or Kala Ghoda Festival can be quite a malady! So, when Fleaffair reached out to us for reviewing their website, we were more than delighted to see what they had in store for us. And we were pretty much impressed to testify the same. Well, let me take a moment and brief you a little more about what exactly Fleaffair is – It’s India’s largest Online Shopping Flea market and aim at providing vast & best quality merchandises to customers at very low prices with fast & reliable delivery while giving an exposure of a world-class e-commerce platform to all those who doesn’t have professional platform to sell and who has the talent to create something with love and their hands. Now, isn’t that cool! I mean, why wait for some flea market which happens once in a year when it’s available from the comfort of your house. Certain to find items that can trigger memories of traditions and Indian rich culture, fleaffair is one stop destination for all art lovers and who find happiness in thrift shopping! 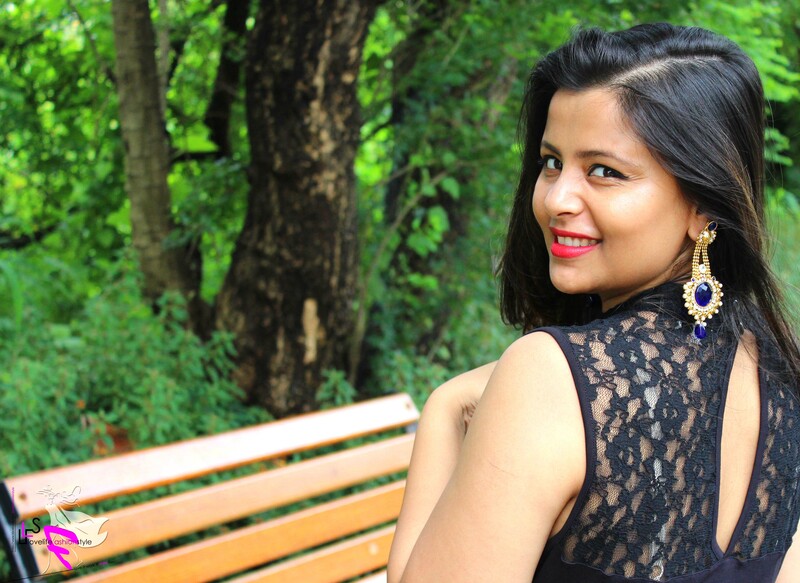 And after a lot of dilemma of choosing between countless options, we settled for this beautiful hand crafted dupatta (blog post to be up soon) and these gorgeous pair of earrings. 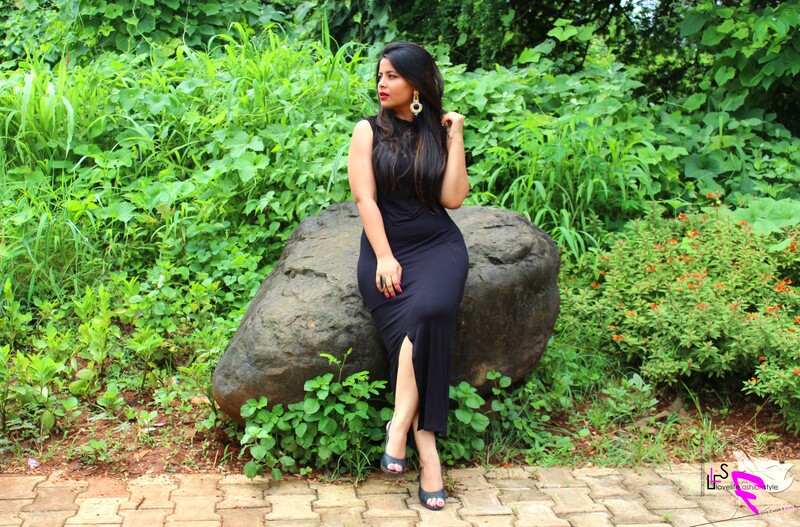 In this post, lets talk Gorgeousness, shall we? 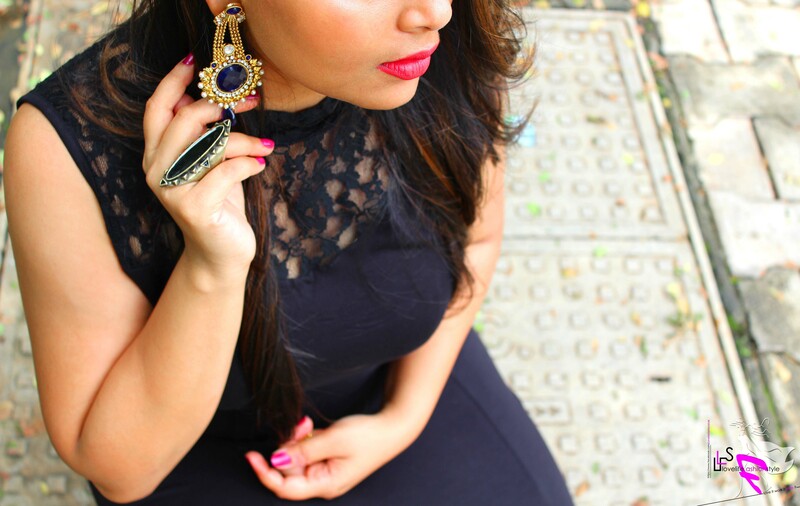 This pair, from Infinity Jewels is the perfect glam quotient that you can own! 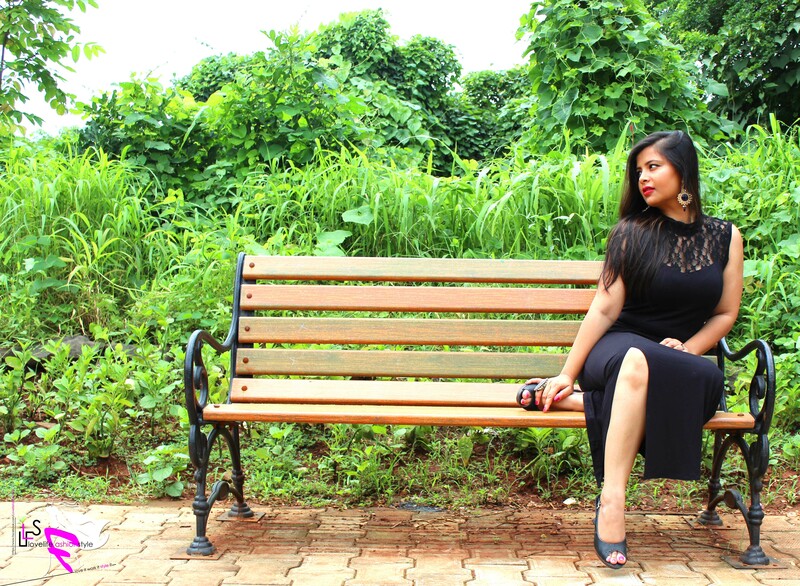 Adding an unexpected twist to any look is something that I am absolutely enjoying at the moment and pairing the same with a black cocktail dress certainly added the drama I was looking for. 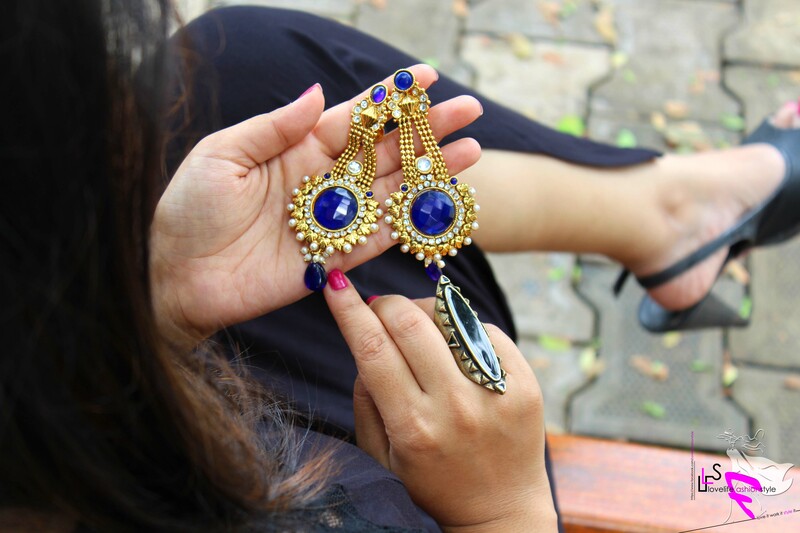 Intricately carved and designed, this gold pair with details of pearls and blue stones will admittedly add that jazz to any outfit – be it casual or even traditional – a Statement that’ll steal the show! Just a pair of heels to complete the look! Hope you guys liked the look and don’t forget to pick your favorites from Fleaffair for a great flea market extravaganza. Connect with us on Facebook, Instagram & Twitter for daily dose of Fashion. Food. Fun! Next Post Travel in Style #1 – Being Comfortable!